There will come a time later this spring, or early summer, when you'll walk into Oak Highlands Brewery to try one of the area's newest locally-made beers. You'll pass through the main entrance, perhaps pausing for a moment to peruse the merchandise offerings, on your way towards finding a spot to relax in their 1600 square foot taproom. And, at that point, you'll have seen a little more than 10% of the overall space. Room to expand, say founders Brad Mall and Derrin Williams, was one of the things established brewers told them to plan for as they moved forward with their new venture. That, and to assume everything would cost more and take longer to do than even their worse-case estimates. They've come to know the truth of those last two statements well, but they appear to be taking each day as it comes and are approaching the project as more of a marathon than a sprint. Both are longtime homebrewers, Mall having gotten his start around 1991 and Williams about 10 years ago, so it's not like they just woke up one day and decided to start a brewery. In fact, they've been working towards their goal in earnest for the better part of four years. Going back to the suggestion of space, judging by their 16,000 foot location at 10484 Brockwood Road in Dallas, that's a piece of advice they've taken to heart and then some. Set in an industrial park in the northeastern part of the city, the building is only two miles from the Lake Highlands neighborhood they both call home, and even less than that from the neighboring Lakewood Brewing Company of Garland. In addition to the taproom, layout plans call for the installation of a three-vessel, thirty-barrel brewhouse and canning line (packaging is intended from the get-go), but even after that gets done they'll still have thousands of square feet to work with. Options abound, but using the added expanse to host private events is one of the more likely possibilities they've considered. On the topic of the taproom, upwards of 20 taps will be available on any given day once things are up and running full speed. Production brews will naturally make up a part of the lineup, but the owners intend to employ their pilot system to produce small-batch, taproom exclusives in tune with a vision towards making the brewery a destination for local craft beer drinkers. Along those lines, they'll open the taproom a few nights during the week, with extended hours on the weekends and staggered tours throughout the day on Saturdays for those who are interested. Freaky Deaky - a Belgian tripel brewed with American hop varieties to give it a refreshing, finishing kick. Allgood - a maltier, fruitier and somewhat more full-bodied take on a German-style kölsch. Derelict - a bright, fresh and grapefruity American IPA. Golden Mustache - a clean and balanced Dortmunder lager. Each of the above beers has garnered praise from competition judges, though my personal favorite of theirs is one that hasn't. DF-Dub (formerly D-Dub) is a well-executed, stylistic dunkelweizen that the pair says has always been a fan favorite despite never taking home a prize. That beer, like the Dortmunder and an altbier they have in the works, is an example of a seldom-brewed style they hope will provide that little bit of differentiation that's becoming more and more important as the North Texas beer scene continues to grow. That said, they've also got a rather tasty imperial black saison I imagine might help with that as well. Beyond that, look for Oak Highlands to offer a perpetually rotating "charity" beer on draft at the brewery and at area accounts. The idea here is to change up not only style of the beer on a regular basis, but also the charity to which proceeds will be donated. It's a way to offer a taste of something new on occasion while giving something back to the community they look to be a part of for years to come. Regarding an opening date, Mall and Williams say it'll happen when it happens, but expectations are for such an event to be at least two-to-three months out. 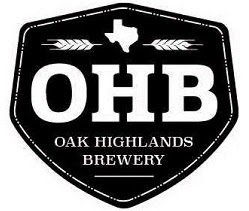 In the meantime, you can stay up-to-date on the brewery's progress by following Oak Highlands on Facebook and Twitter.